One of the most important choices you’ll make as an angler is the decision between a baitcasting or a spinning reel. While neither has a real edge over the other, each has its own advantages and disadvantages. This article will walk you through each design and why you may want to choose one over the other. A baitcaster is a type of reel that is known for its accuracy and power, but also for the difficulties that come along with using it. Many advanced anglers prefer using a baitcaster because it provides a little extra challenge, and when learned to use correctly, can reap tons of benefits. These types of reels are more commonly used when an angler is hunting larger catches, as that often requires the use of heavier-weight line. Baitcasting reels tend to be better suited for heavy line. These reels are also great for super accurate casts (when used correctly). Because the user can control the spool manually, it provides easy management of a cast. 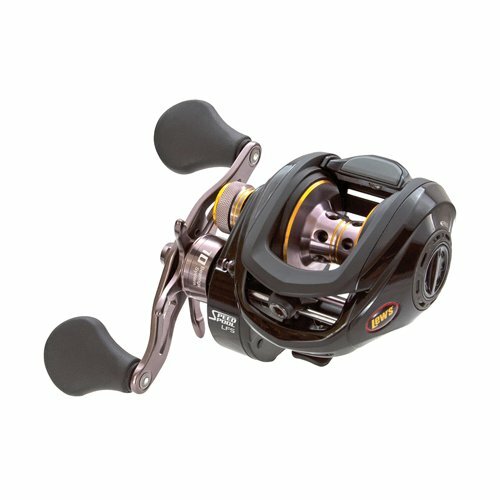 Spinning reels are the more popular choice among the angling community as a whole. They are super easy to use, making them an accessible choice for anglers of all skill levels. But spinning reels aren’t exclusively for beginners— they’re popular with the more advanced as well. These reels truly shine when used to cast lighter baits. They work better with a lighter line, and because the line can unspool freely thanks to the “spinning” design, there is no restraint on a bait with less weight. Spinning reels are also a good option when you’re fishing in inclement or unpredictable weather because wind won’t affect your cast as much. One of the first major differences you’ll see between a baitcasting and spinning reel is where it is located on the rod. A baitcasting reel will sit atop the rod, allowing the line to unspool directly in line with the rod. A spinning reel hangs below the rod, where the line will first unspool away from the rod, then turn at the bail to follow the line of the rod. As mentioned before, there’s definitely a substantial difference in usability between the two rods. A baitcasting reel has more of a learning curve associated with it because it requires more manual control. The user has to stop and hold the line with a thumb when the bait hits the water, which can be a difficult action to master. Whereas, with a spinning design, the reel does most of the work for you. The only action you have to remember with a spinning reel is to flip the bail to the “open” position. Because baitcasting reels are created for use with heavier line, they have a higher line capacity. But take this with a grain of salt, as baitcasting reels have a difficult time handling lighter weight line. However, spinning reels do their best work with a lighter line. This means that they have a smaller line capacity. An annoying quality baitcast-users have to deal with is backlash, when a spool moves faster than the release of a line. This results in something called a “birds nest,” an annoying, hard-to-untangle knot. Spinning reels don’t deal with this problem because the line doesn’t unspool directly in line with the rod. However, spinning reels can have trouble with line twisting and wind-knots, so no reel is truly mistake-proof. Drag- Baitcasters and spinning reels both include some sort of drag system to allow more casting and retrieval control. Drag works by applying an amount of pressure to the line, which acts as a friction brake. One of the most common systems is a disc drag system, used in both baitcasters and spinning reels. Disc drags utilize washers made of various materials, like carbon fiber or plastic, to hold an amount of pressure on the line. The higher the pressure capability, the more stopping power the reel will have. Although each reel may shine in a different area of casting, both baitcasting and spinning reels are great for casting. Baitcasting reels are particularly great for making accurate casts. This is because the user has more manual control over where the bait ends up. They’re also good for casting long distances. Spinning reels also offer long-distance casting power, especially when it comes to throwing smaller lures and baits. Both baitcasters and spinning reels can be used in a variety of angling settings. No matter whether you’re in a freshwater lake or surf fishing from the beach, reels of both designs can work well. If you’re planning on fishing in saltwater, just make sure that your reel is created with corrosion-resistant materials to prevent saltwater damage over time. Although you may wish there was a clear winner between the two types of reels, there’s really not. As long as they are used properly, both baitcasters and spinning reels can pull in fish after fish. Lew’s was the first American company to release a reel of a teardrop shape, back in 1973. The Tournament MB reel is another shining example of the company’s commitment to innovation. This reel is popular for many reasons, its lightweight design being at the forefront. The Tournament MB weighs 6.7 ounces, providing a nice balance to the rod without compromising portability and comfort. The unique teardrop design is ergonomically designed for total comfort throughout a long day on the water. The reel features a double-shielded ball bearing system, as well as a consistent drag, a multi-setting brake which utilizes magnetic cast control and a centrifugal system for optimal control. The Revo line of reels from Sweden-based company Abu Garcia checks nearly all the boxes when it comes to baitcasting reels. The SX line of Revo reels was created with comfort and balance in mind. It’s low profile, meaning it is super lightweight and has a ton of features packed into a small frame. Abu Garcia has a seemingly endless amount of patented technologies that are specific to their company, many of which are included in the SX reel. Along with nine stainless steel ball bearings and one roller, the line features the company’s “X2-Craftic” alloy frame with C6 carbon side plates. Other technological features include the “Power Stack Carbon Matrix” drag system, a “DuraClutch” design, and an “Infini” brake system, which all work to improve casting and control. 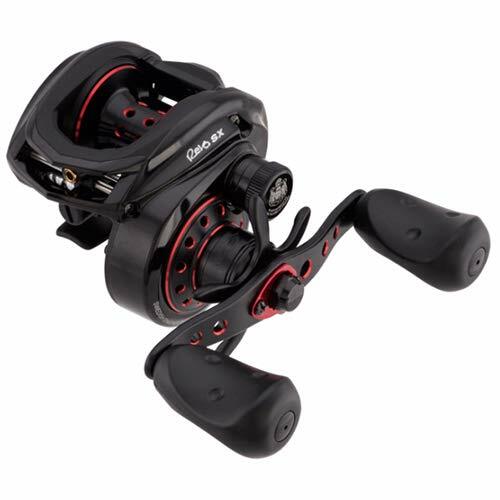 As the name suggests, KastKing says that the Spartacus Plus reel is ready for battle. For anglers in need of a little more power to their punch, this might be the reel for you. It comes from the company KastKing, which has committed to making high-quality products at an affordable price. Weighing in at 8.1 ounces, it’s created with quality-made materials, including a CNC machined aluminum spool and precision-matched gears. It also includes a shielded, corrosion-resistant 11+1 ball bearing system for super smooth casting. The Spartacus Plus touts an impressive drag system, created with a carbon fiber design that offers 17.5 pounds of stopping power. It also includes dual “micro-cast” centrifuge and magnetic brakes. Other features include instant anti-stop reverse, a ceramic line guide insert, and quality-made rubber cork handles. 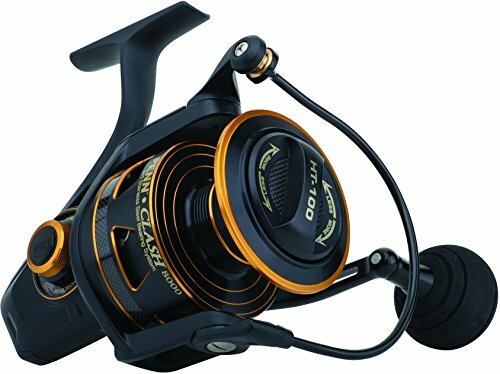 Originally released in 2015, the Clash spinning reel from Penn is one of many of the company’s wide range of fishing reels. It’s a mid-range reel in terms of price, so it’s not the cheapest option on the market, but it definitely won’t break the bank. The reel comes in several different sizes, ranging from a smaller 2000, suitable for smaller fish and a shorter rod, all the way up to a more heavy-duty 8000 model. It’s constructed with an all-metal body, which gives it a little more bulk but keeps it durable. It features Penn’s signature CNC machine-cut brass gears, which are crafted to perfectly fit together for extra control. The Clash reels are ready for heavily-weighted braided line, with an aluminum spool. There’s no need to back your line with monofilament, as the spools are created to handle braided line as is. It also includes handy line capacity rings which indicate how much line is left. Featuring four different size options, the Supreme XT is the most recent version of the popular original Supreme. 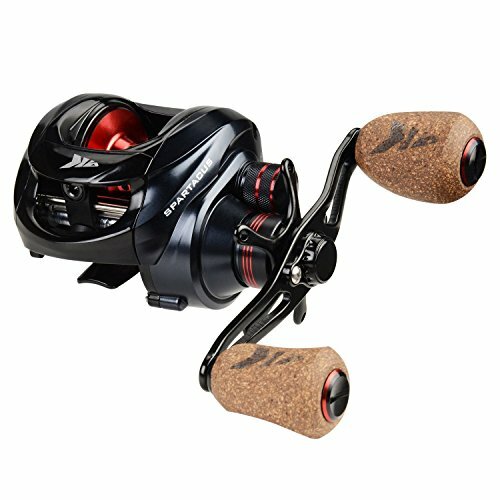 The Supreme XT reels are created with full magnesium, including the body, side plate, and rotor. This material makes the reel super lightweight without compromising durability. This line of reels also includes a braid-ready spool, which is super convenient for those who regularly use braided line as there’s no need to back with monofilament. The Supreme has a comprehensive carbon fiber drag system. It’s sealed, which makes it great for use in saltwater, as it prevents sand or other debris from invading the inner workings of the reel. Other features include a slow oscillation gearing system, a carbon fiber handle for extra comfort, and an EVA handle knob. The first thing you’ll probably notice about the Flame spinning reel from Piscifun is its beautiful design. Constructed with aluminum, it has a sleek matte black finish and a deep red spool. 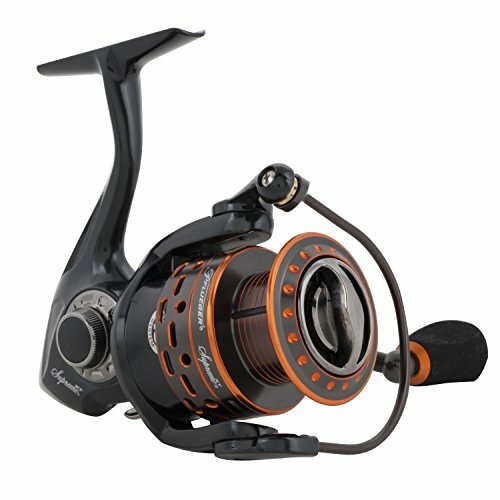 Unlike many spinning reels on the market, it features a fairly unique hollow body with an X-shaped spool. Thanks to the lightweight construction and design, it ends up weighing around 8.7 ounces, which keeps it comfortable on the wrists throughout a long day on the water. With machine-cut brass gears, triple drag washers, and a reinforced metal shaft, the drag system on the Flame offers up to 19.8 pounds of stopping power. The best part about this reel is that it won’t break the bank— it’s on the lower end of the spinning reel price range, yet it’s still made with high-quality materials. Other features include a braid-ready spool and personalized handles. No matter which reel design you choose, the most important thing is going for a high-quality pick. 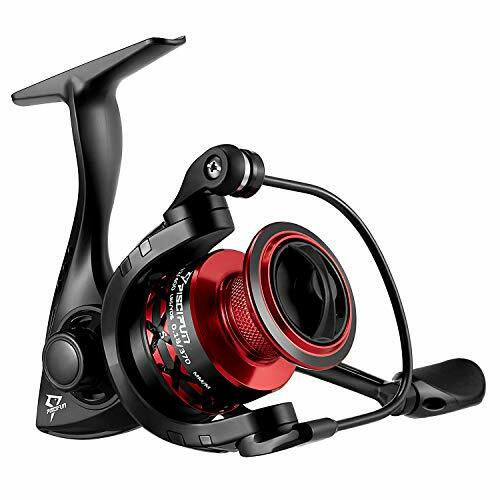 Whether you’re a die-hard baitcasting fan or can’t imagine fishing without a spinning reel, it’s best to go for a reel that will last you for years to come. Happy fishing!